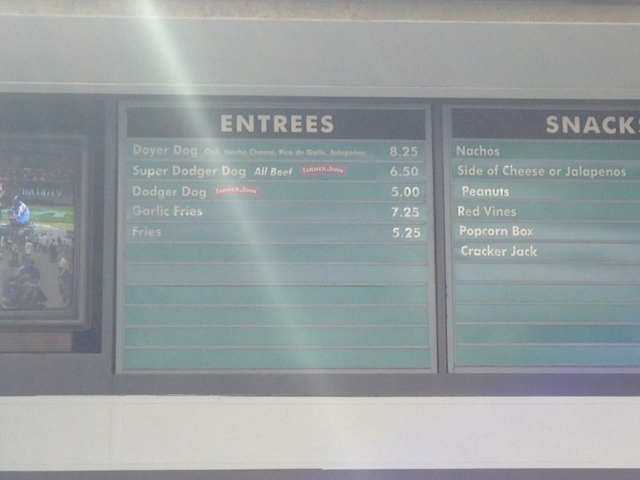 Have you tried the Doyer Dog? I haven't, until today. And yes it's a heart attack on a plate, but worth it. 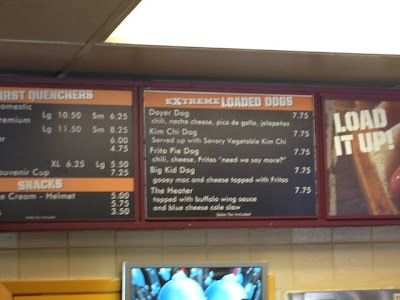 If you decide to try one and are on the Reserve level, goto the Extreme Dogs stand near aisle 1 rather than the regular concession stands. Why you ask? Check out the prices on the pictures. 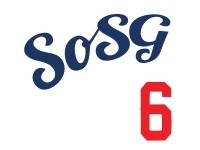 Come on Dodgers, what gives? I like the Extreme Loaded Dogs stand because a) I'm fat, and b) there's almost never a line. Now I have another reason to like it. Recovering fat guy, as in, I'm gonna get soooo fat in the loaded line!